May was catch-up month! I finished a quilt, did a little selfish sewing (see photos of my new dress and tank top at the end of this post), and then STOPPED starting new projects. Sometimes I can get caught up with all the pretty new fabric available, and I can’t help starting lots of different projects. In June, I hope to keep my fabric buying to a minimum, and work on what I’ve already started. My goal is to finish John’s quilt. 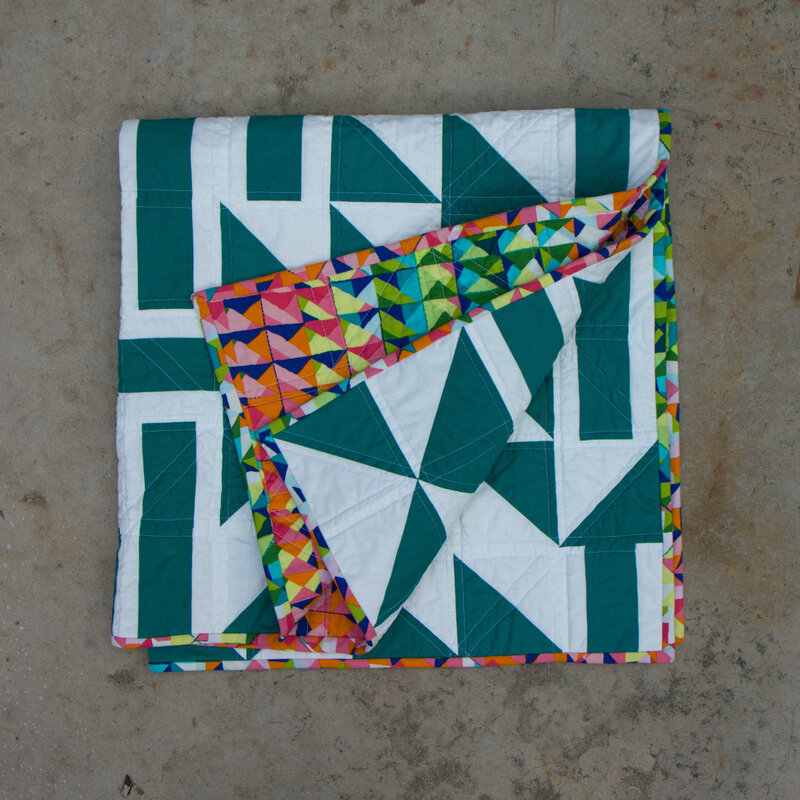 I love, love, love, this quilt and I get distracted too easily if I have other sewing projects calling my name. Today I’ve spent a little time cleaning up my sewing area, getting my notions organized, and admiring my empty design wall. Nothing. And it feels good. My tile-inspired quilt is all done. 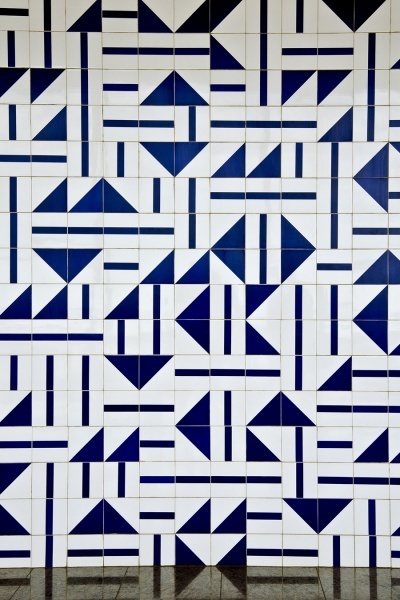 This is the original inspiration photo, of a tile wall in Brazil. The front of the finished quilt. 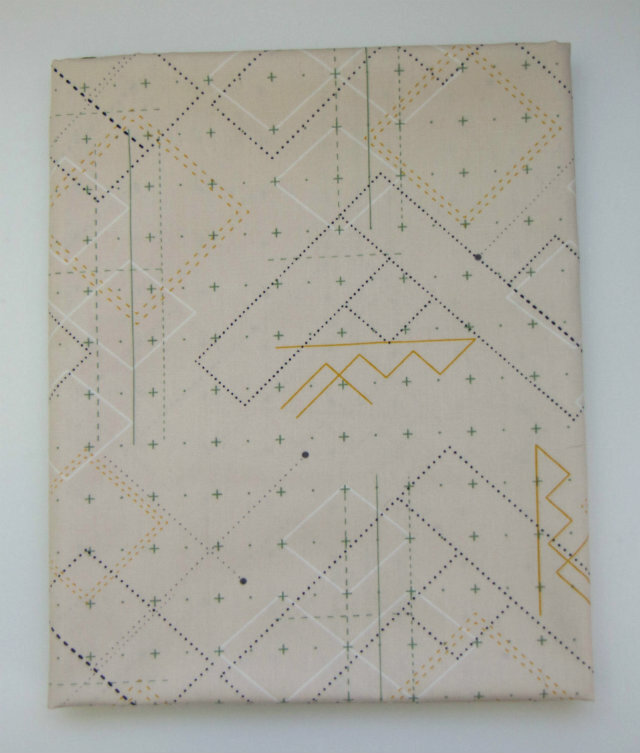 It’s 40 inches square, the perfect size for a lap quilt or baby quilt. I used my domestic machine to straight-line quilt this one. 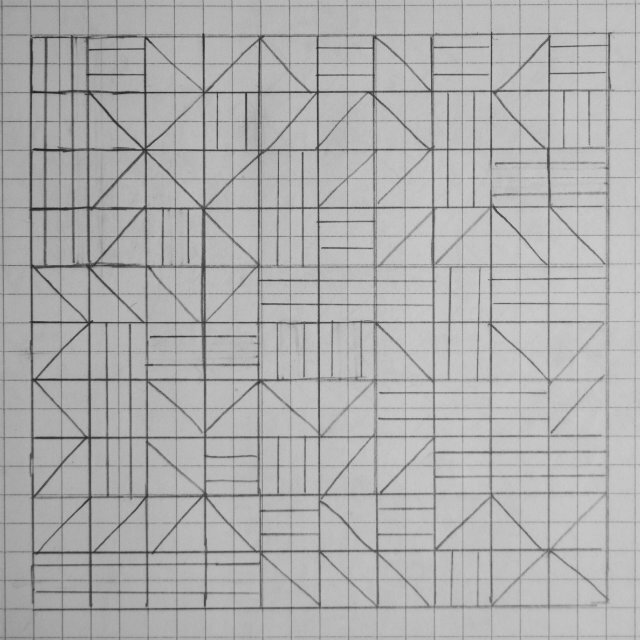 Some of the lines run perpendicular to each other, and some run across the quilt diagonally. 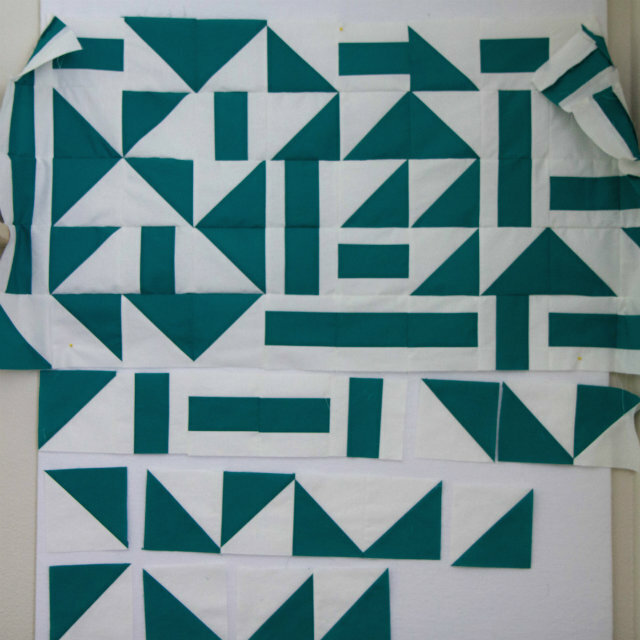 The quilting mimics the simple triangle and rectangle shapes of the blocks. 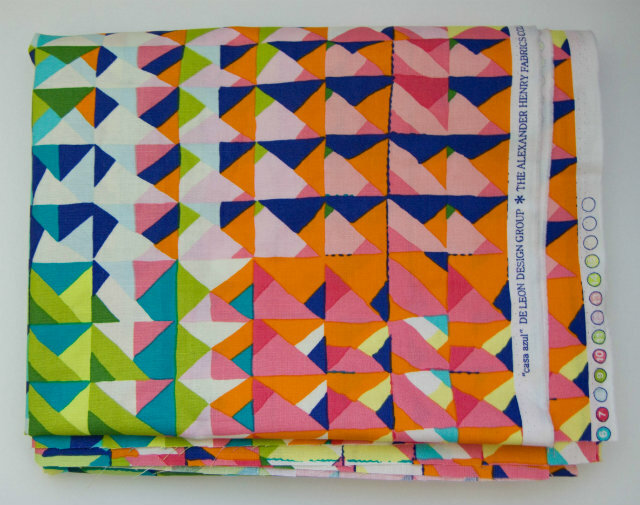 I love the bright, colorful, geometric fabric used for the back and the binding. I think this quilt may end up on my Etsy shop soon! I also dabbled in some garment making, and finished two new items to add to my wardrobe. 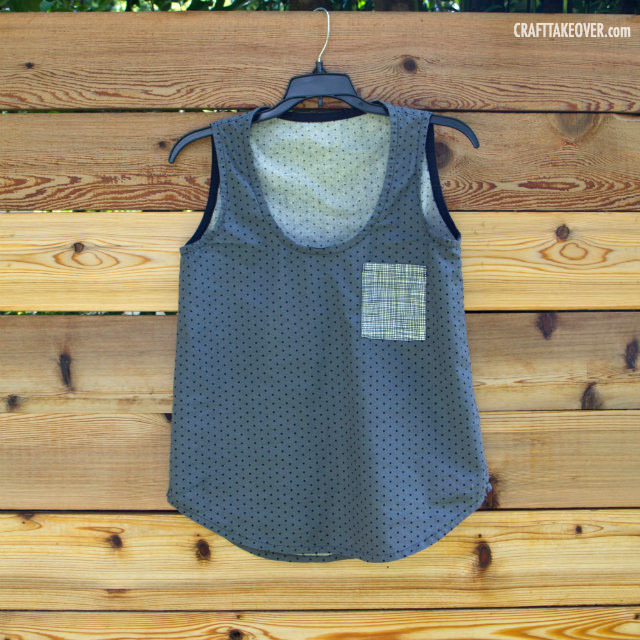 First up, the tank top. This is the Wiksten Tank pattern by Jenny Gordy. I purchased the downloadable PDF and printed it out at home. This was my first time making a shirt, so it took me a little while to figure everything out. I may have been a little slow, but the pattern is very well written, and the instructions were great. I definitely learned some new skills, like how to make French seams! The gray fabric is something I already had on hand, cheap stuff from Hobby Lobby. It’s a really good idea to use inexpensive fabric like this to practice on during your first attempts at garment sewing. Next up is the dress version of the Wiksten Tank. 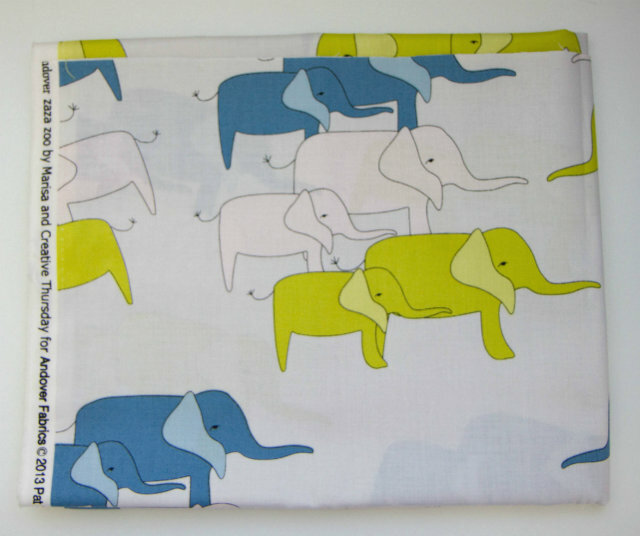 I used Cotton and Steel double gauze fabric for this one, and it is soooo soft and cuddly. It’s the most comfy dress I’ve worn in a while. And the best part? I freakin’ made it! 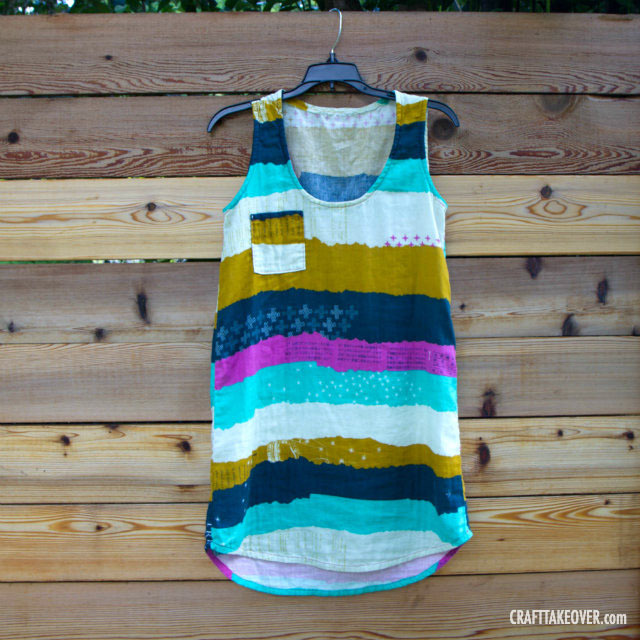 I can see myself making many more dresses and tanks from this pattern. Hope you enjoyed seeing what I’ve worked on this month! Here’s to a hand-sewing filled June. Hey there! Just popping in to give my monthly update…I’m a bad blogger lately. Hoping to carve out time for more crafty projects real soon. 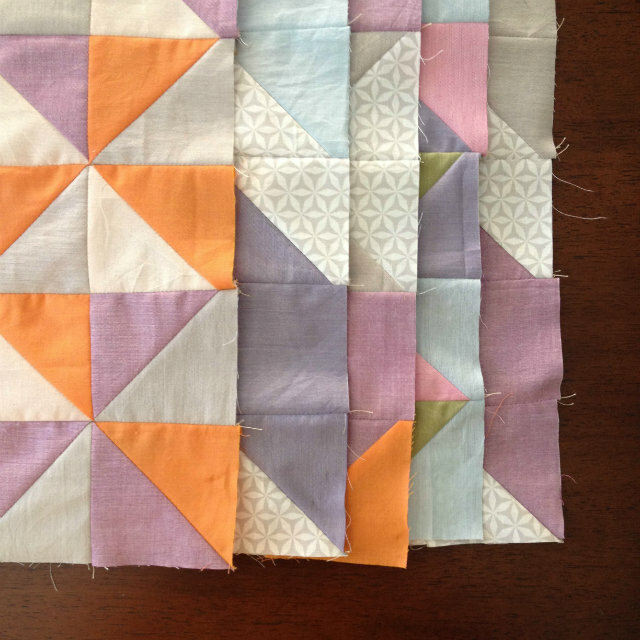 For now, I’d love to share the state of all my current quilty projects around here. If you want more info about a previous stage of a project, check out the posts on March, February, and January. No new quilty designs on paper this month. Instead, I’m letting the fabric do all the talking. Here are a few of my recent purchases! Each of these fabrics was purchased at one of my favorite local shops, The Cloth Pocket. 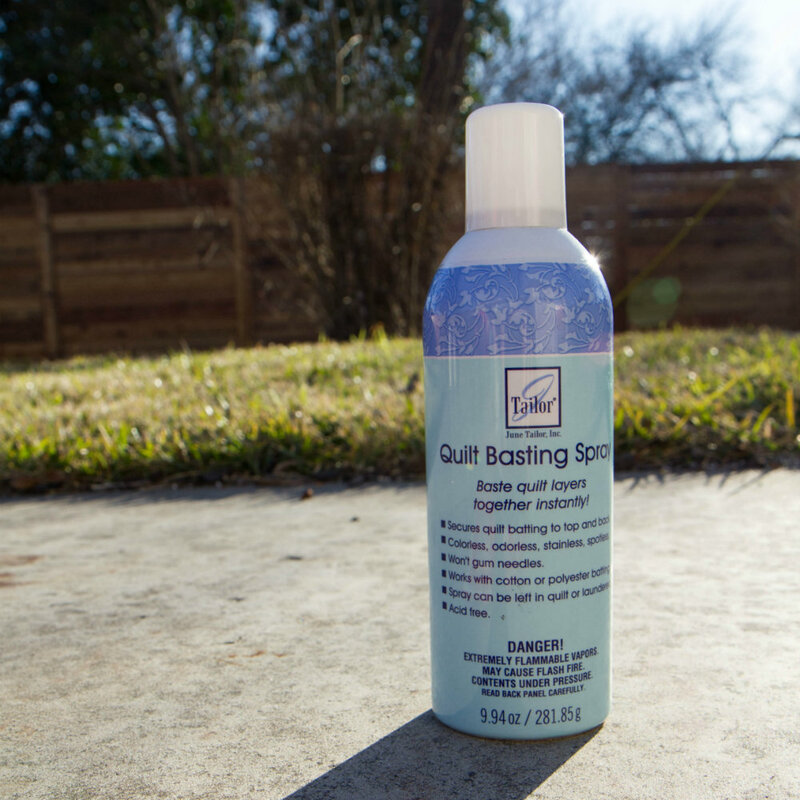 Check them out if you are in Austin…if not, check out their online shop! 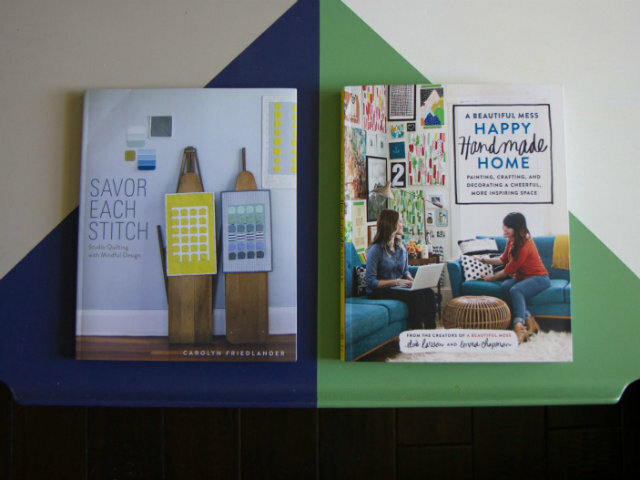 I’m also finding a lot of inspiration from my two new books: Savor Each Stitch, by Carolyn Friedlander, and Happy Handmade Home, by the gals at A Beautiful Mess, Elsie Larson and Emma Chapman. The project tutorials in both these books are really inspiring, I’m hoping to make something from each of them very soon! 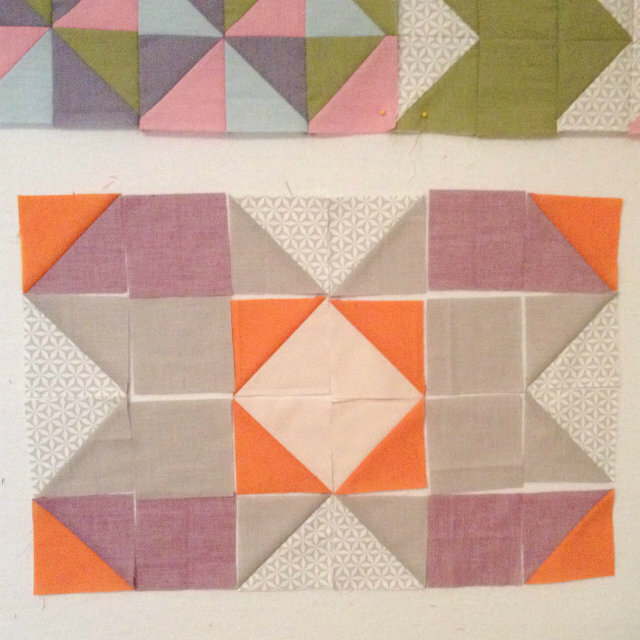 I love how these quilt blocks are coming together. And here’s the fabric I’ve picked out for the back. The top is coming together quickly, it will be ready to quilt soon! Lately just using my machine to piece the quilt shown above. In the process of piecing this one, I discovered my standard sewing machine foot isn’t a good gauge of a quarter inch seam. 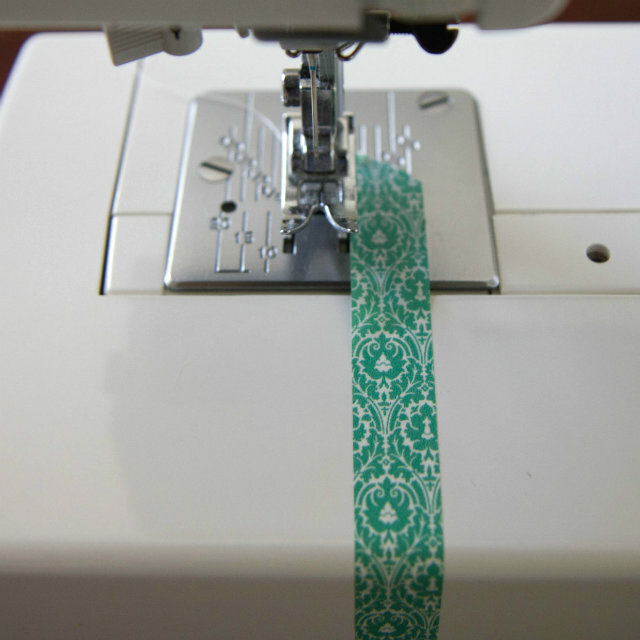 I had to place some washi tape on my machine so that I am able to be more accurate with my quarter inch measurement! My normal sewing machine foot is slightly larger than a quarter inch, so I ran into some problems…this is working nicely though! Speaking of machines….can I tell you about a fun new techy thing I got for my birthday? (Thank you, honey!) 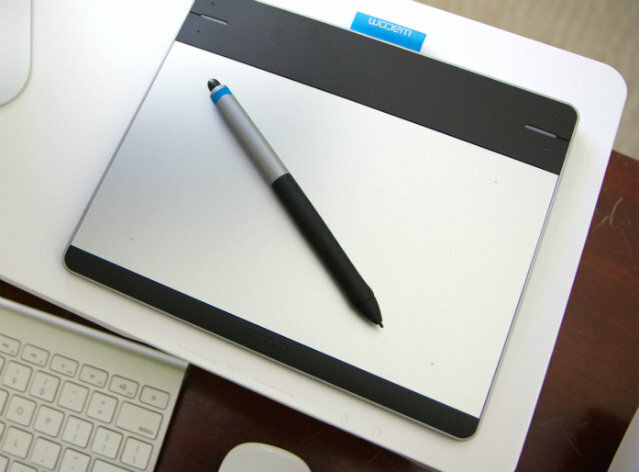 It’s a Wacom Intuos Pen and Tablet, and I plan on using it to draw some fun pattern designs. I’m a big fan of Spoonflower, and would love to come up with my own hand-drawn fabric design, print it, and sew it up into something pretty. 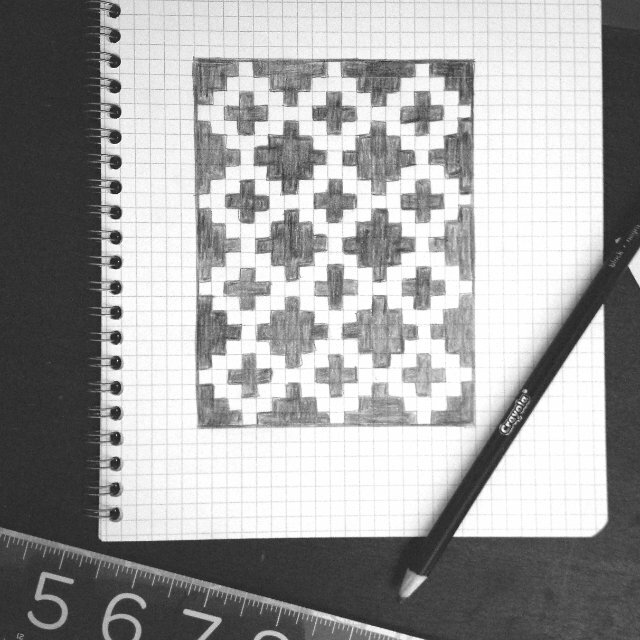 Have you ever created a digital fabric design? I have a lot to learn, but I think it will be pretty fun. Can’t wait to share the results with you when I figure it all out. 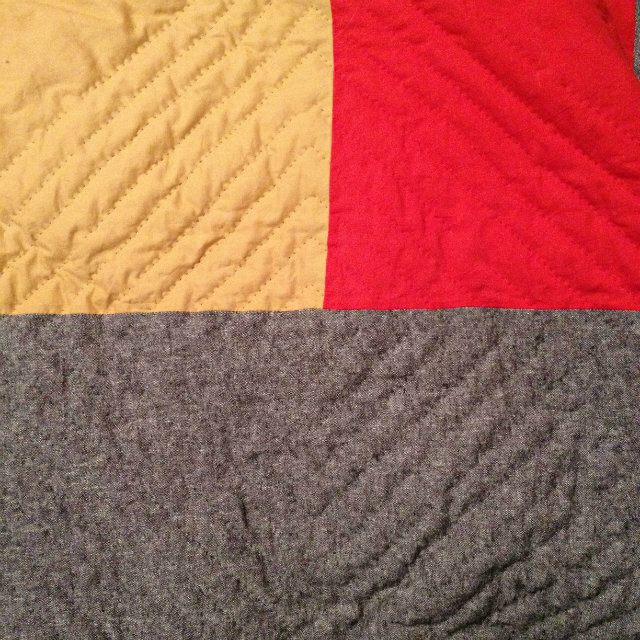 Probably only worked on hand-quilting John’s quilt a total of 3 times this month. I’ll admit I’m super slow to finish this one…but the cat seems to approve at least! My Spring Challenge quilt is done! I loved trying this Yoshiko Jinzenji technique of layering lamé, fabric cutouts, and organza. I used a glue stick to arrange the cutouts on the lamé, topped it with the organza, then pinned all the layers together on top of batting. 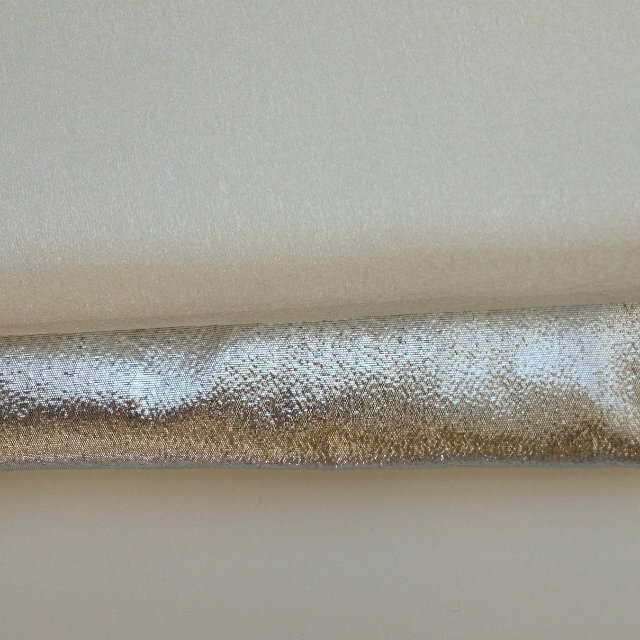 I then did some simple straight-line quilting with silver thread. 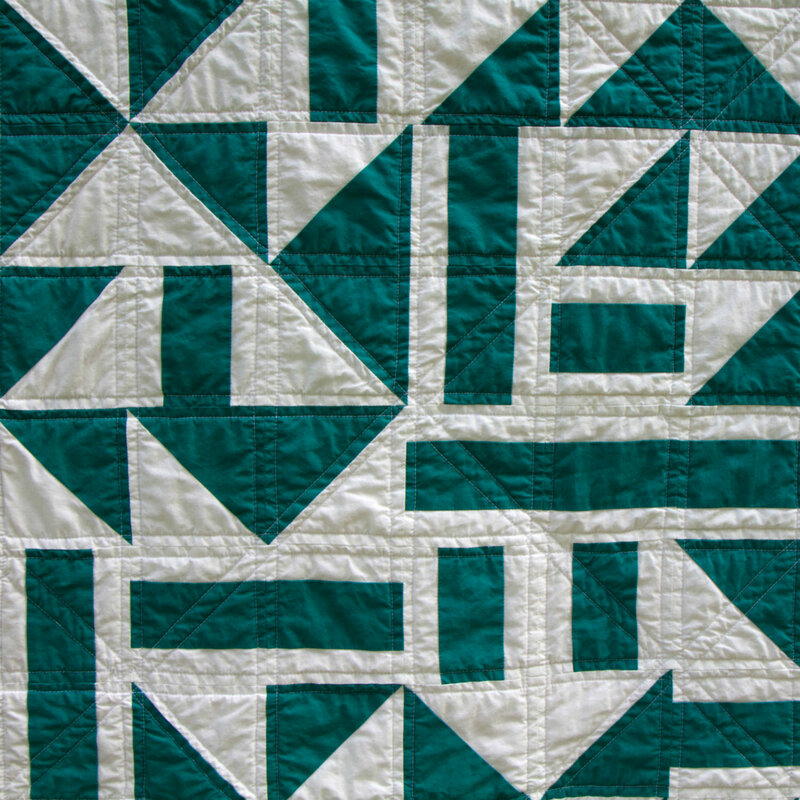 I think the simplicity of the quilting really lets the shapes shine. Literally! The back is a piece of fabric I picked up years ago and couldn’t bear to cut up. She was the perfect bright and floral fit for the back of this mini quilt. 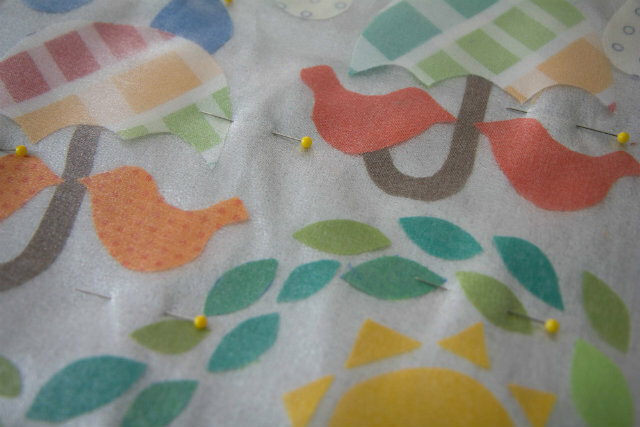 What sewing or crafty projects did you finish in April? What are you currently working on? I’d love to hear! 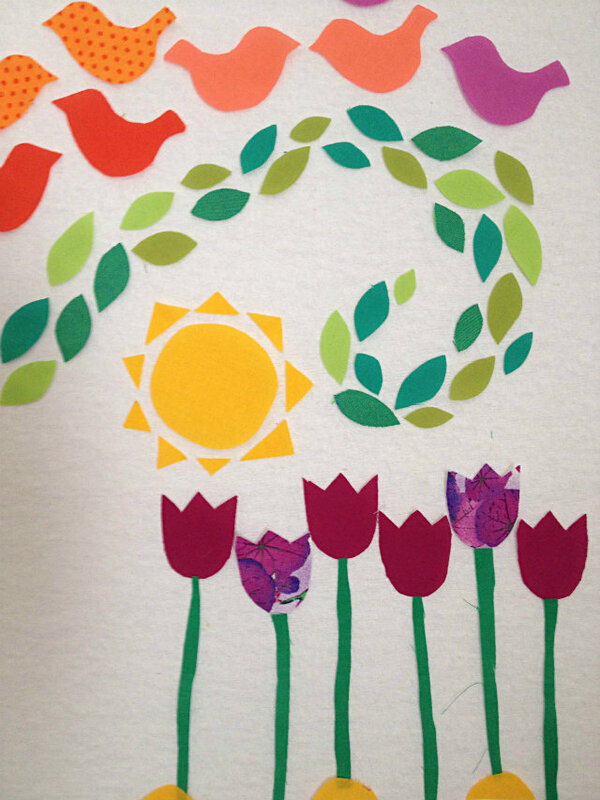 And as always, cheers to a sewing-filled May! Whoa, February is already over? It flew by! Lots of things kept me busy this month. I got my wisdom teeth out, which was awful, but I’m so glad to be feeling back to my (almost) normal self. Next up was QuiltCon, which was fantastic. 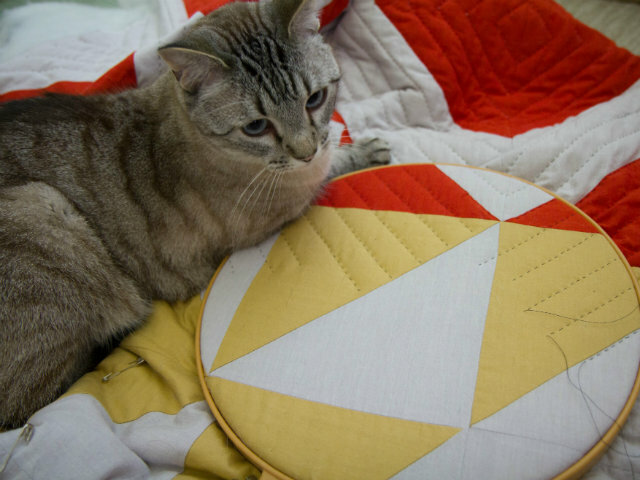 See my post from yesterday for a recap and lots of quilty photos. Finally, I planned a big event at work this week, and I’m happy to say it went off without a hitch. Plus, I mentioned before that it was Frugal February at our house. That meant no eating out (except for a couple of exceptions, like a celebratory burger after I could chew again) and lots of home-cooked meals. Somewhere in there, I found some time to get a little bit of sewing done! 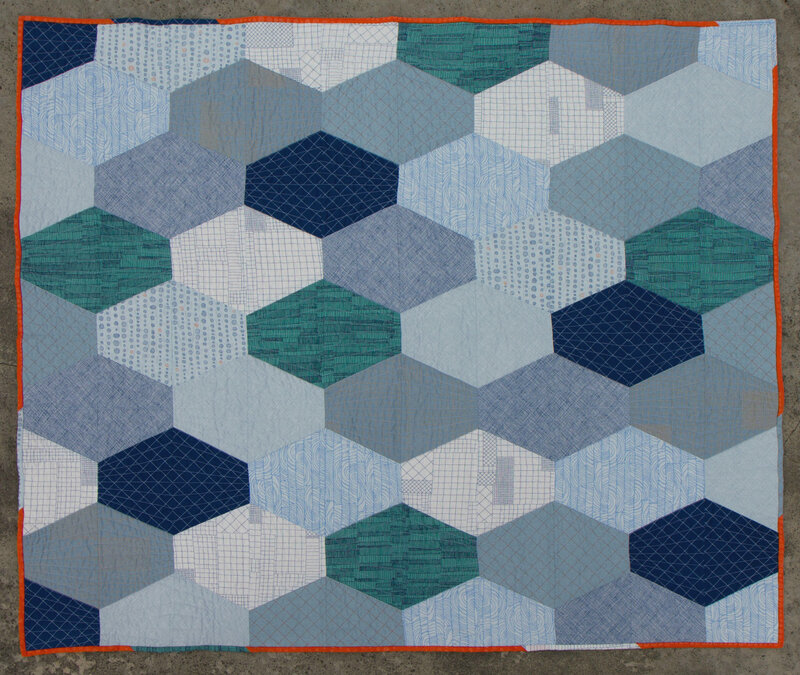 Just one new quilt idea this month. 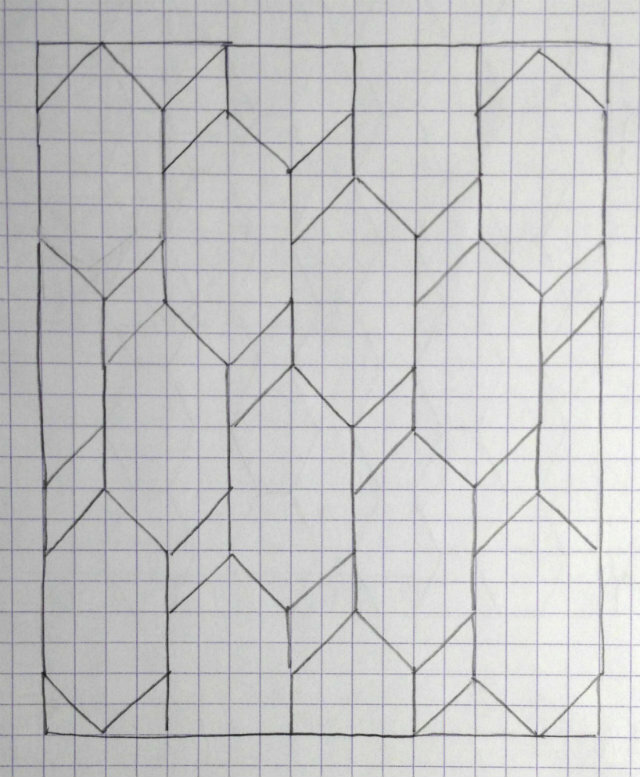 Even though the shapes are simple, I think this could be really awesome with the right fabrics. I’m going to be on the lookout for something good. Also still working on finding fabrics for this one I shared in January. 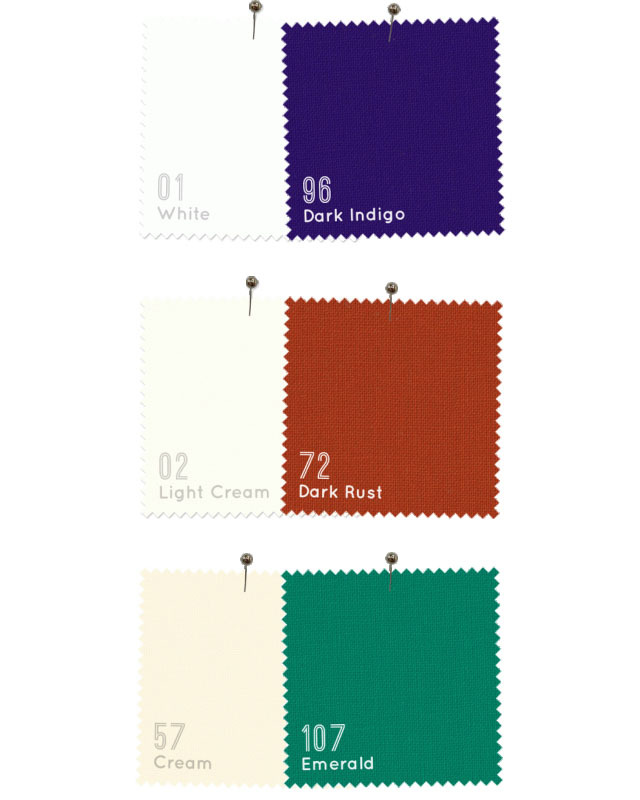 I’m thinking of using American Made Brand solids – a cream and a rust color possibly? Or maybe emerald? Here are some combinations I’m thinking about. 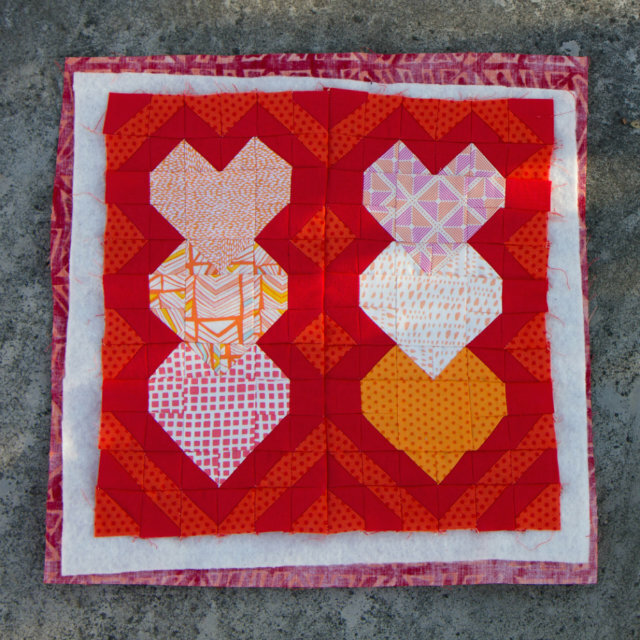 My shot cotton baby quilt is still up on the design wall. I’m working on couple more blocks to finish the top, and I can’t decide if I still like this one. Don’t you hate when a project is in limbo?! I just need to keep playing with the layout, and I think it will get there. 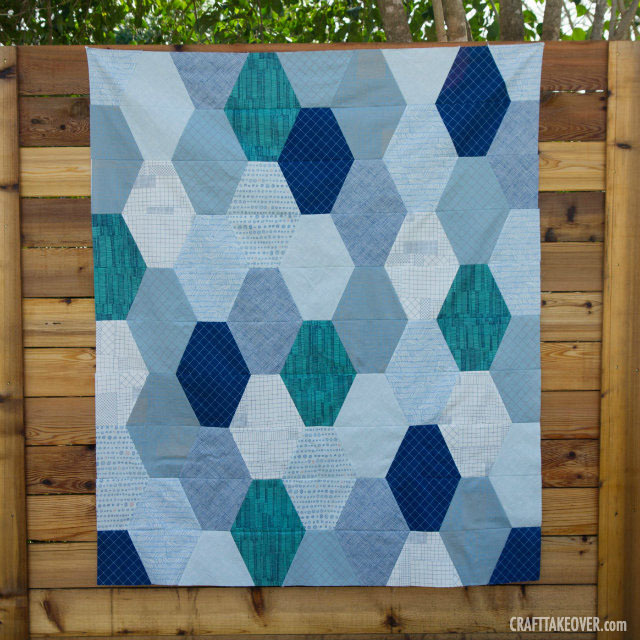 I finished my stretched hexagon quilt top! 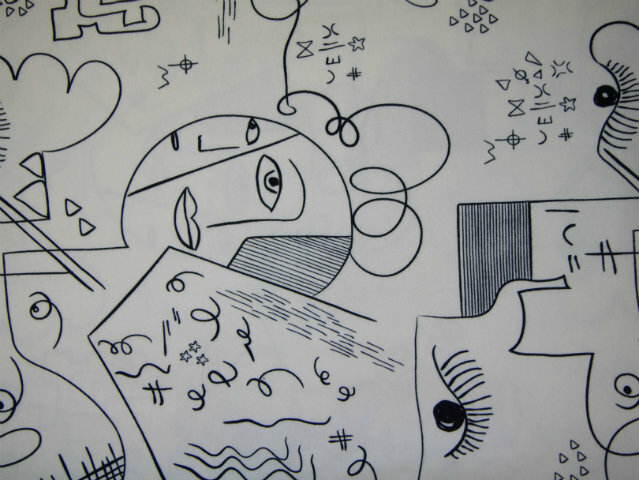 The Carolyn Friedlander bundle I bought is amazing. I love every single one of the fabrics that went into this one. Now I’m just working on the back, and I’ll start quilting it very soon. Still handquilting John’s quilt. Here’s a peek at the back! It’s coming along slowly but surely. I just need to get to business and put in a few more hours of quilting this one each week. My 12 inch mini quilt! 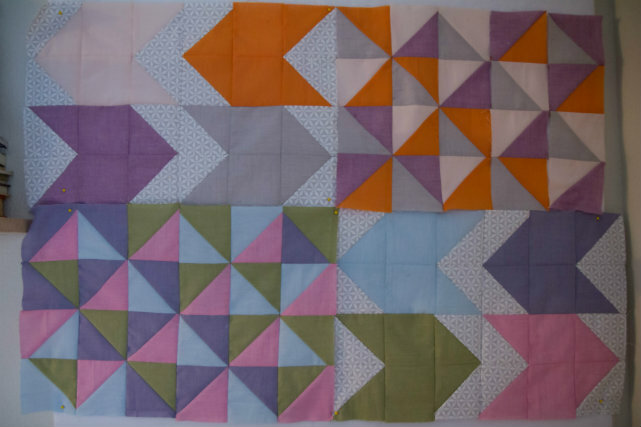 I had fun with this one, but I don’t think you’ll find me making one inch half square triangles again anytime soon. I love having these cheerful hearts on my wall. Now… I better get to work on some of these projects. Have a great weekend! Today I want to share some of the inspiring things I saw/did while I attended QuiltCon last weekend! I didn’t make it to any of the workshops (I was way too late to the registration game), but I did get to hear three amazing lectures. First was Yoshiko Jinzenji, an internationally known artist and quilter. Yoshiko talked about her Grass House Studio in Bali, showed us some of the unique ways that her fabric lines are made and used, and showed some of her incredible quilts. I was not familiar with her work before this, and now I am totally hooked. After the lecture, I immediately went and purchased some of her fabric at the Bunny’s Designs booth, and Yoshiko even signed it! 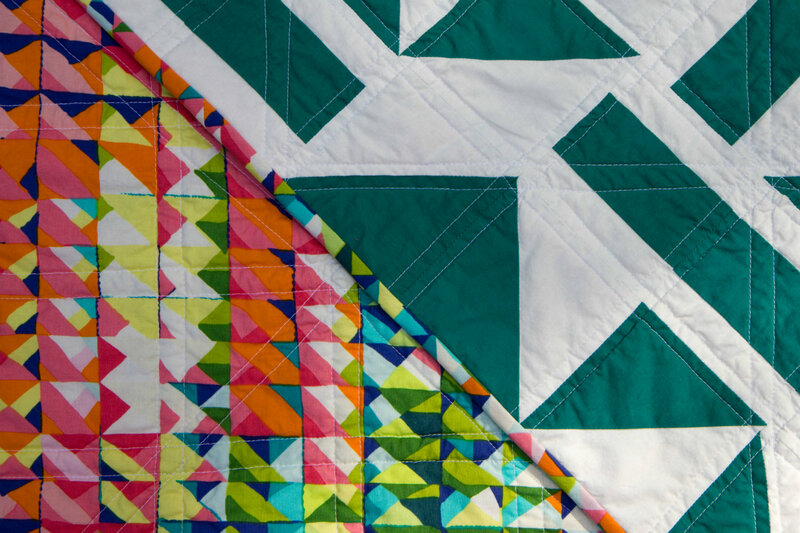 Next on my wish list is her book, Quilting Line and Color: Techniques and Designs for Abstract Quilts. 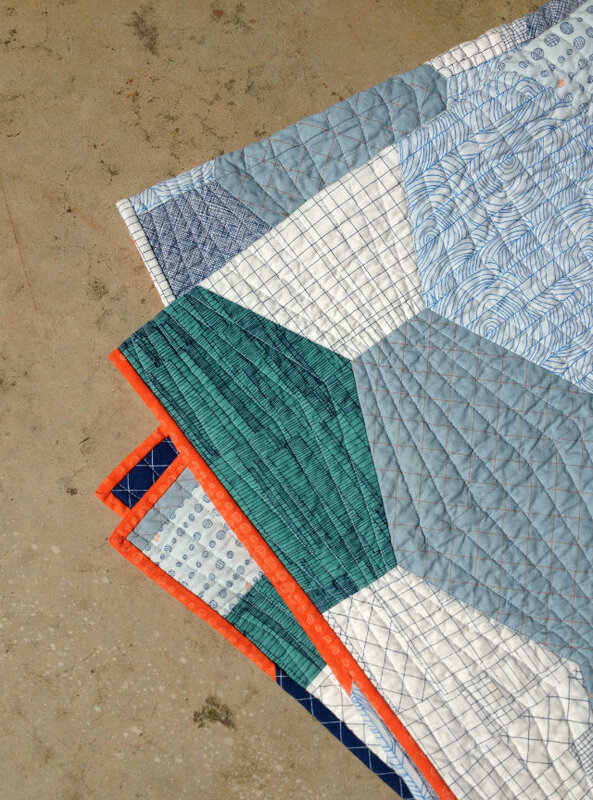 I also went to Carolyn Friedlander’s lecture – Architecture, Quilts + Us. I loved Carolyn’s presentation and hearing about how her background in architecture has influenced her and her design process. 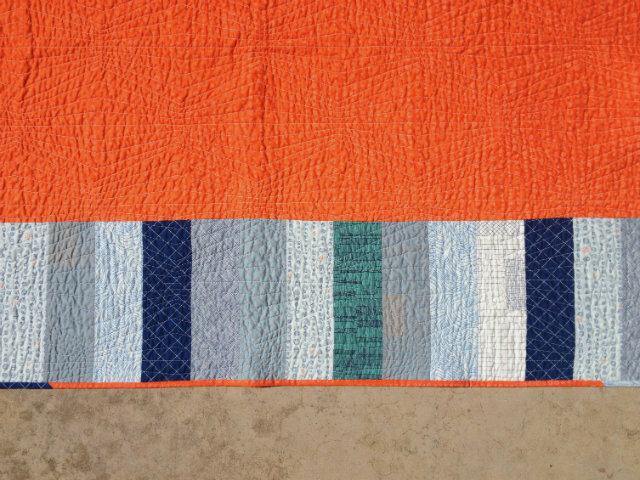 Carolyn is doing some really amazing things in quilting, so be sure to check out her work if you haven’t already! Finally, I got to see Maura Ambrose of Folk Fibers talk about the natural fabric dyeing process. 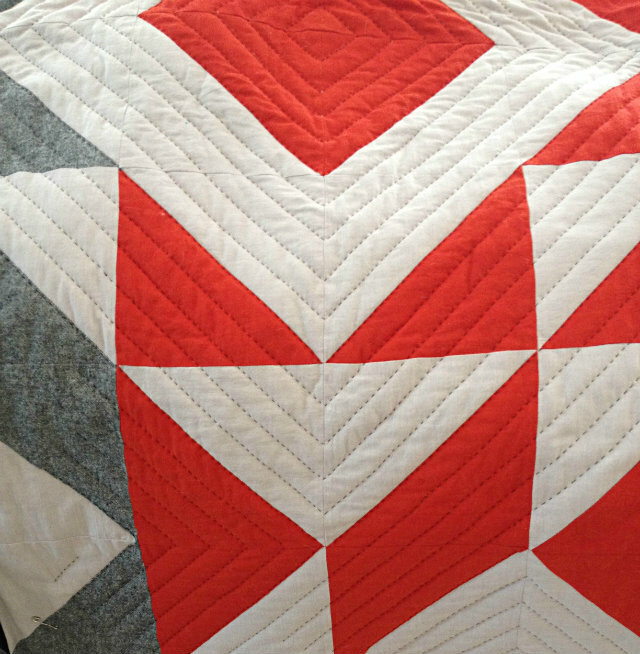 Maura is my quilting hero! I really enjoyed hearing her talk about growing, harvesting, and using natural dyes in her work. 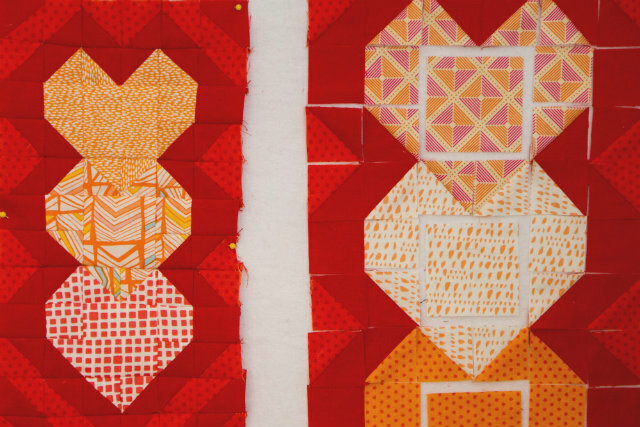 She puts her heart and soul into every piece of fabric she uses and quilt that she makes, and it’s just amazing. 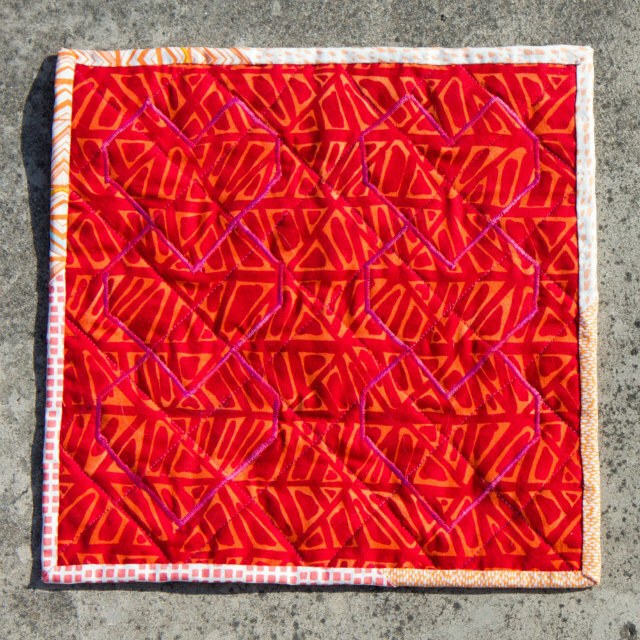 Very excited about her upcoming project – Folk Fibers Guidebooks. 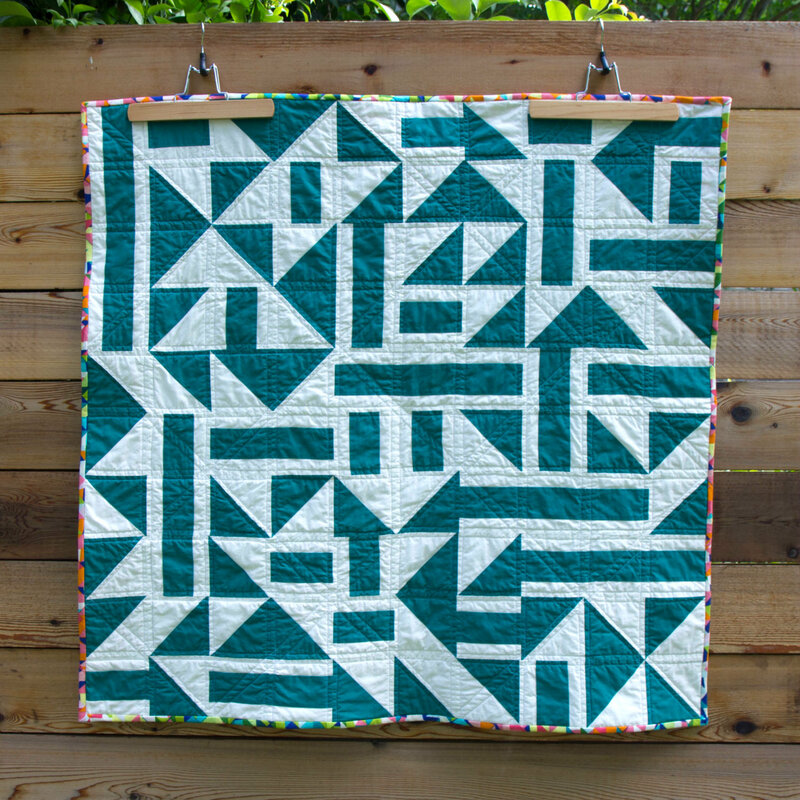 I would love to know more about her hand quilting techniques, so I can’t wait to get this when it comes out. Now, onto the quilts! As usual, I wanted to share some photos of my favorites from the different categories with you. Happy Valentine’s Day! Sadly there will be no fancy meals or chocolate candy for me today…I just got my wisdom teeth out! I look a little bit like a chipmunk, and all I can eat are soft foods for the next couple days. But hey! 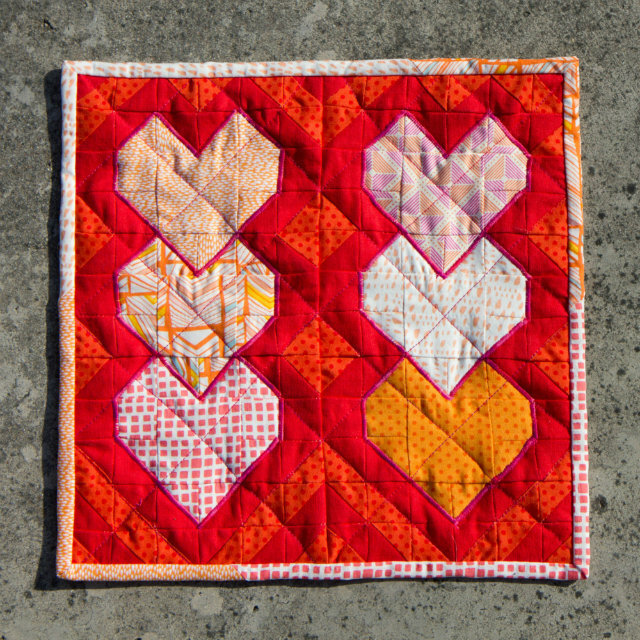 That’s ok. Because I made you this mini heart quilt. 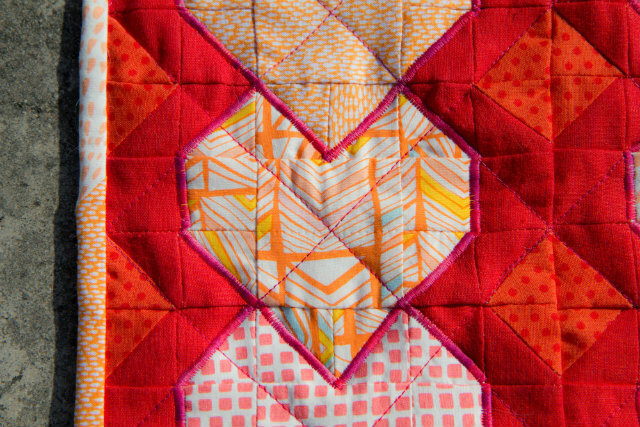 This month, my art quilt bee challenged everyone in the group to make a 12 inch square mini quilt, with the theme “heart.” I went super literal, with some patchwork hearts and valentine-ey colors like red and pink. People, those are one inch finished half-square triangles. 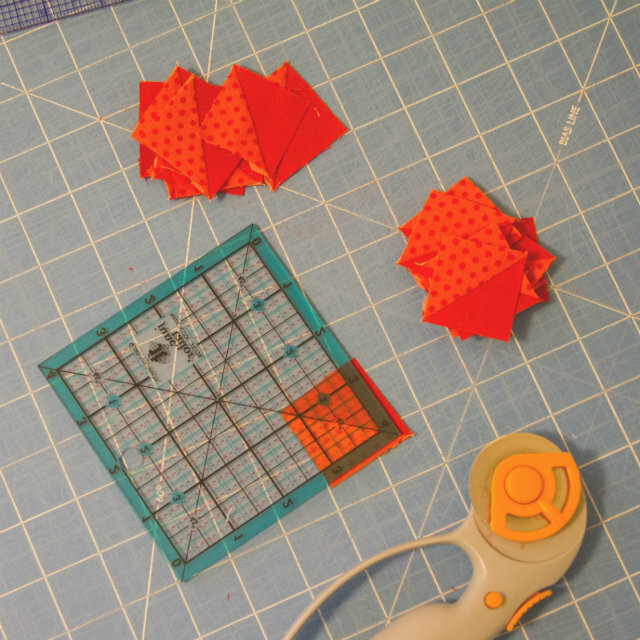 Glad I tried them out for this project, but NEVER AGAIN will I make HST’s so tiny again! I think the worst part was just squaring them up. See how tiny the pieces are? Once you account for the seam allowances, they shrink up so tiny! This picture of my design wall is for comparison. Finished block is on the left, unsewn pieces are on the right. Because everything was so small, I didn’t really have the patience to press the seams well. So don’t look too close, ok? 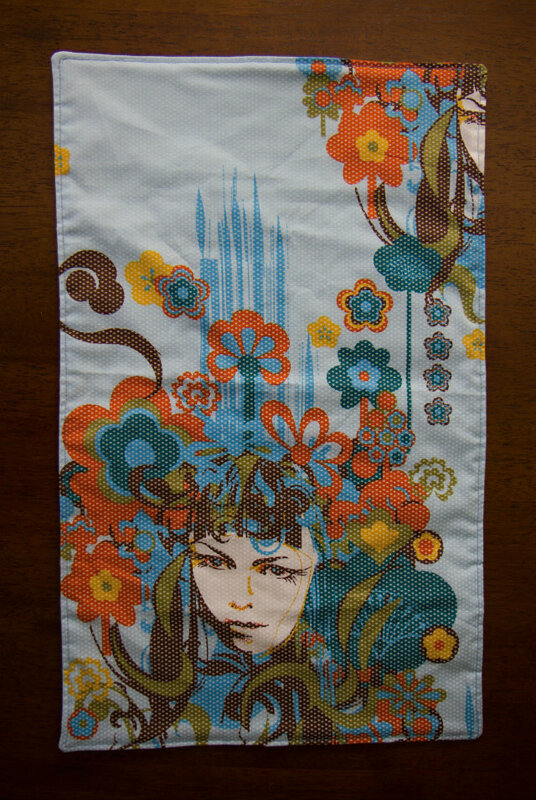 This was my first project to use spray baste instead of pins. 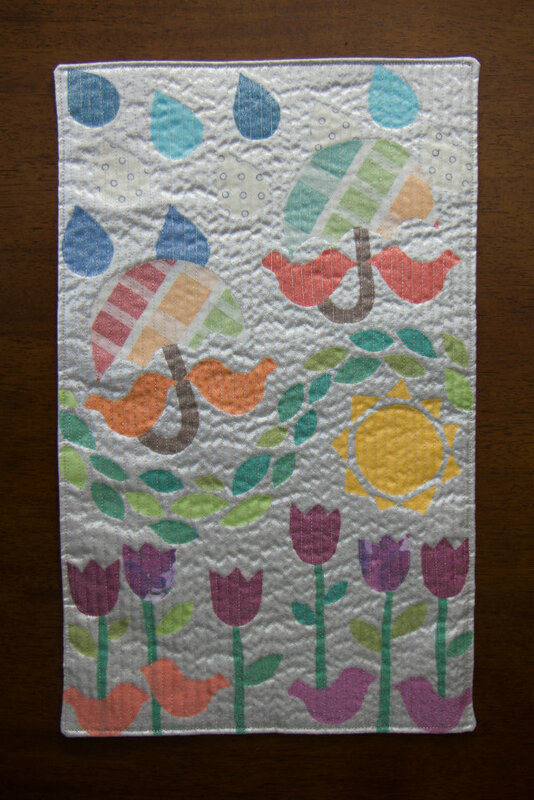 I used June Tailor Quilt Basting Spray and I think it worked great, but everyone I’ve talked to says 505 is the best. So I’ll probably try that out next. It was so easy! I can definitely see myself spray basting in the future for projects that are on the smaller side. 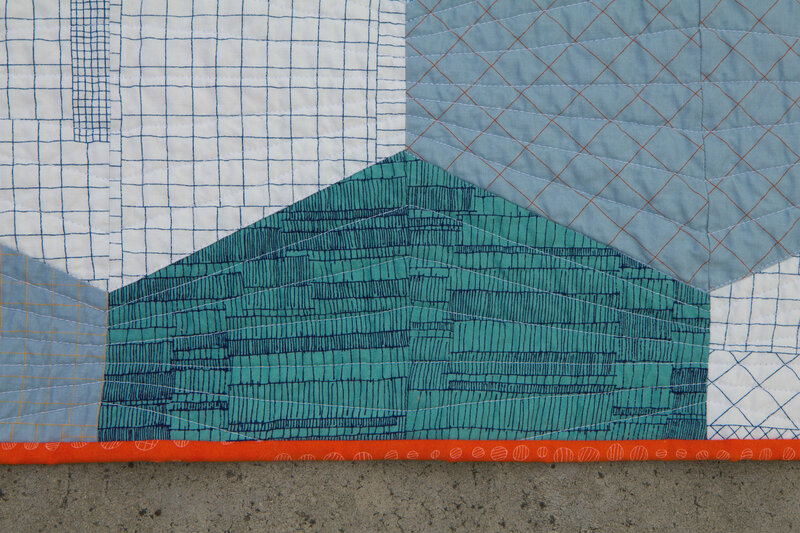 I think I’ll continue pin basting will all my hand-quilted projects, but I’m looking forward to using it more often. 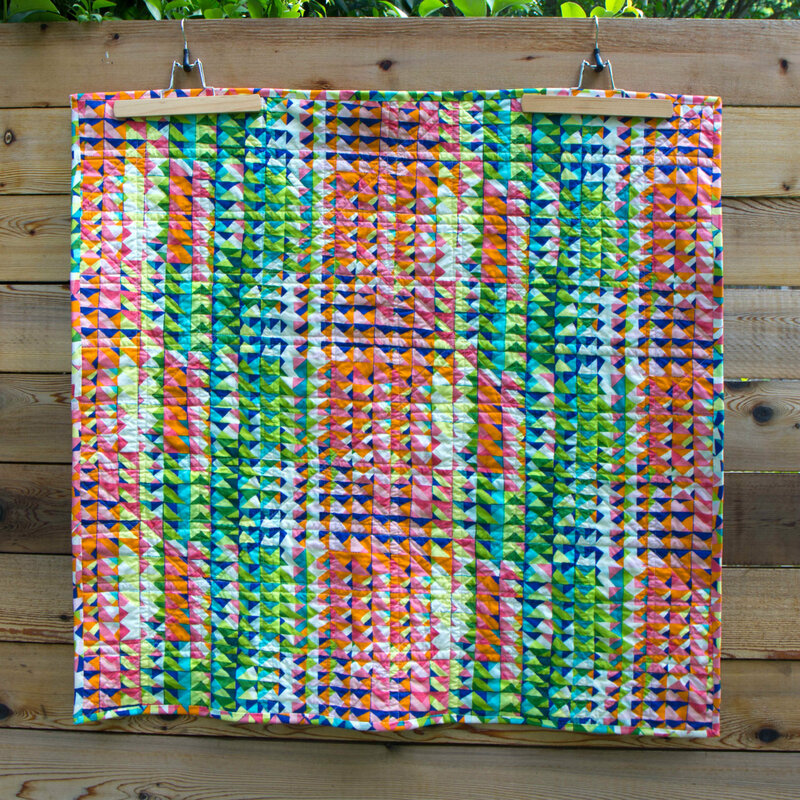 My favorite part of this project was coming up with the design, and I like how the finished mini quilt came out! I think it will look cute on the wall in my sewing space. Hope you have a great Valentine’s day, thanks for letting me share my heart themed sewing project. 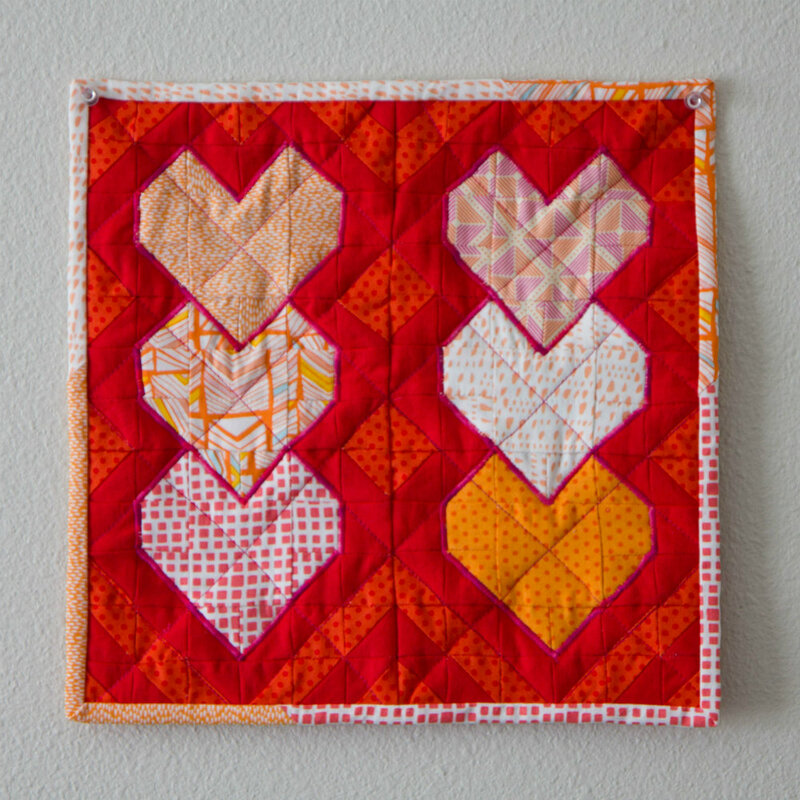 And in case you missed it, here’s last year’s heart themed project: A Modern Heart Pillow. Eat some candy and drink some wine for me! Today I’d love to share another edition of my recent reading list! 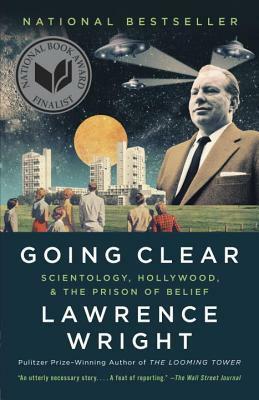 Going Clear – Scientology, Hollywood, and the Prison of Belief, by Lawrence Wright. Just started this one. So far it is really interesting to learn more about the history of Scientology. I’m also looking forward to watching the new HBO documentary based on the book. 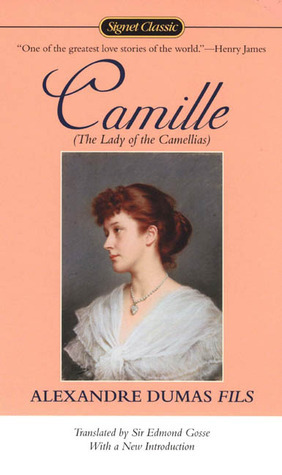 Camille, by Alexandre Dumas Fils. A classic and a tearjerker! This one was a super quick read. 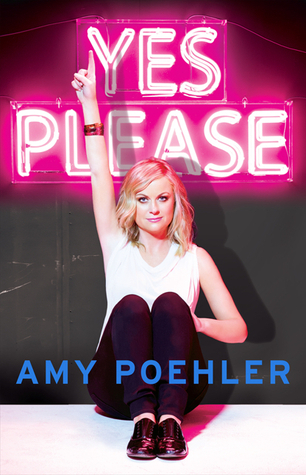 Yes Please, by Amy Poehler. I was so, so excited to have this one on our book club list. Then I read it, and didn’t love it. I also didn’t hate it. I think my expectations were a bit too high after reading Tina Fey’s Bossypants, and I was slightly bored with all the name dropping. However, if you are a huge SNL fan and want to hear about some behind the scenes stuff…you’ll enjoy this one. Outside of book club, I’m mainly reading cookbooks and the Outlander series. I need to add some variety! 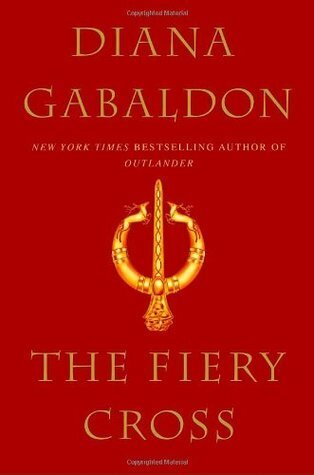 In my last edition of recent reads, I mentioned I had purchased the newest book in the Outlander series, by Diana Gabaldon. Well, I’m still re-reading the entire series. Once I started, I couldn’t stop! I’m currently on Book 5, The Fiery Cross, and am hoping to make it through these next few books quickly so I can read the new one! Don’t Throw It, Grow It! 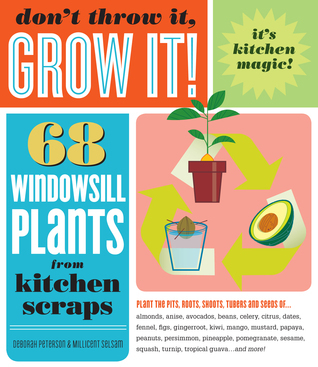 : 68 Windowsill Plants From Kitchen Scraps, by Deborah Peterson and Millicent Selsam. This book was gifted to John and I for Christmas from our sweet friends Sam and Joel. Who knew there were so many ways to re-use kitchen scraps?! Currently growing some green onions in a glass thanks to this book. 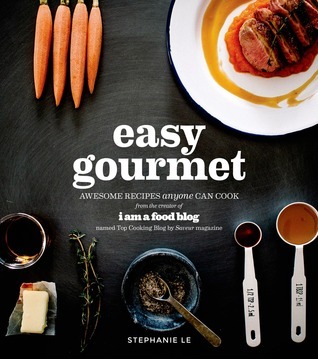 Easy Gourmet, by Stephanie Le. A cookbook that I gifted to myself. I am drooling over all of Stephanie’s recipes and her photos are awesome – do you read her blog? If not, you should! I’ve made just a couple recipes so far, and am looking forward to making lots more. Especially since this month is our annual household tradition of Frugal February. 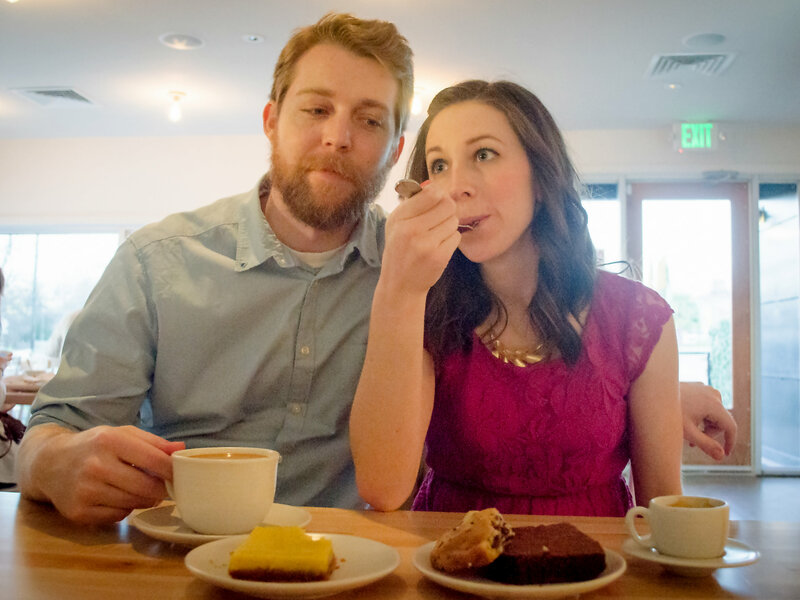 John and I challenge ourselves every year to make all our meals in February at home. No eating out until next month! So this is my favorite time to try out new recipes and try to keep things exciting at mealtime. Wish us luck. What are you reading lately? I need suggestions! >> all book images are from Goodreads. Click the book covers to read the descriptions.